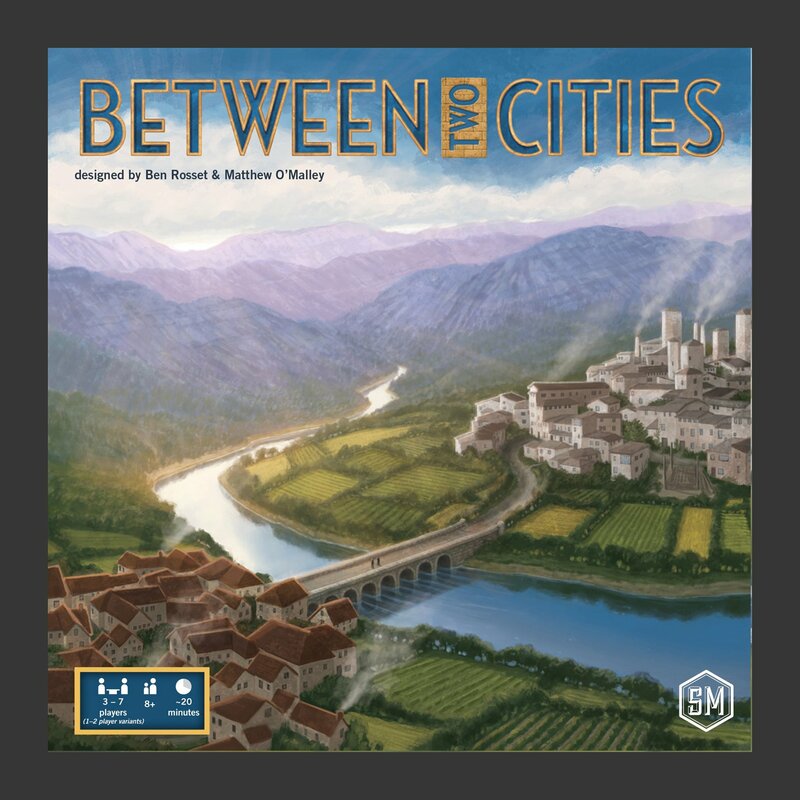 Design unique and beautiful cities in this partnership-driven, 20-minute, competitive tile-drafting game for 1-7 players. 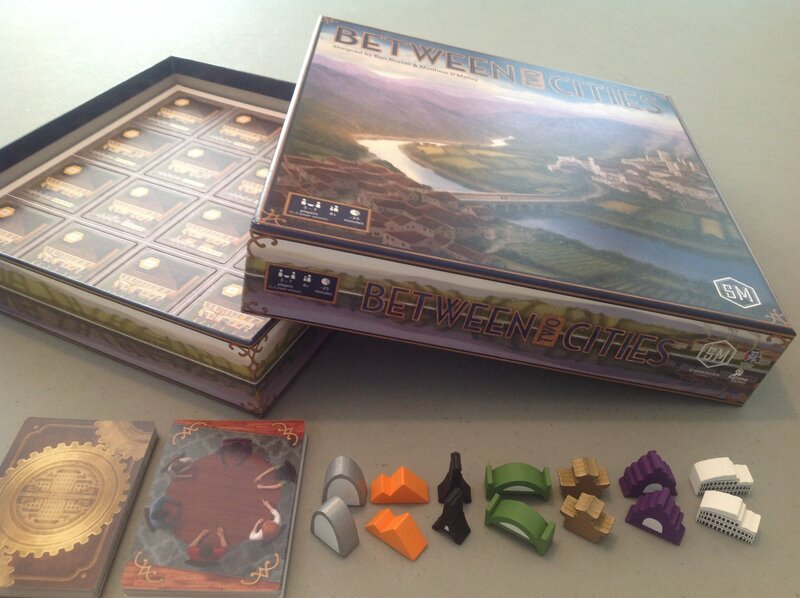 Between Two Cities is played in three rounds. 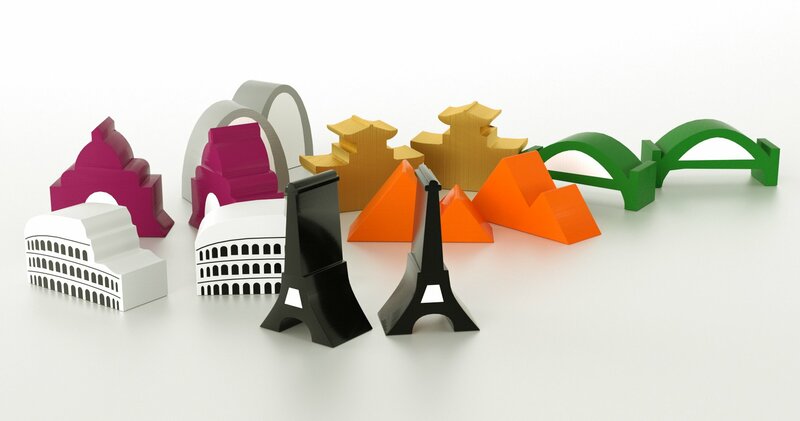 In each round, you'll start with a fresh hand of tiles. 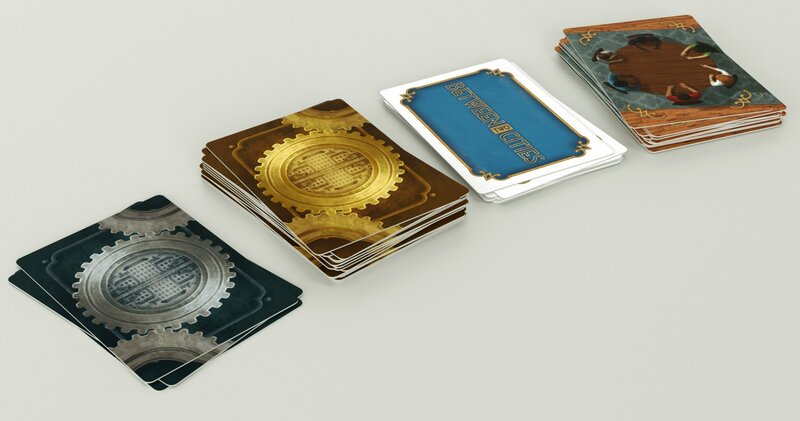 Select two of those tiles, passing the rest to the player on your left or right (depends on the round). Place one of those tiles in the city on your left and one in the city on your right, then pick up the hand that was passed to you and repeat the process. The middle round actually involves drawing 3 rectangular "duplex" tiles (two building tiles side by side in a vertical or horizontal configuration) and selecting 2 of them--there is no drafting in this round. After all three rounds, you will have built a 4x4 city on your left and a 4x4 city on your right. Add up the scores for all cities, but only compare your lowest scoring city to each other player's lowest-scoring city to determine the winner. Shop (yellow): The more shops you have in a row or column, the higher the score. Park (green): Each group of adjacent parks score an ascending amount of points based on the number park tiles in the group. House (brown): Each house scores a point for each other tile type in the city (they want variety). Office (blue): The more offices, the better. If they're next to at least 1 Tavern, they score a bonus point. Tavern (red): There are 4 types of taverns (different icons)--you want to get as many sets of different tavern types as possible. 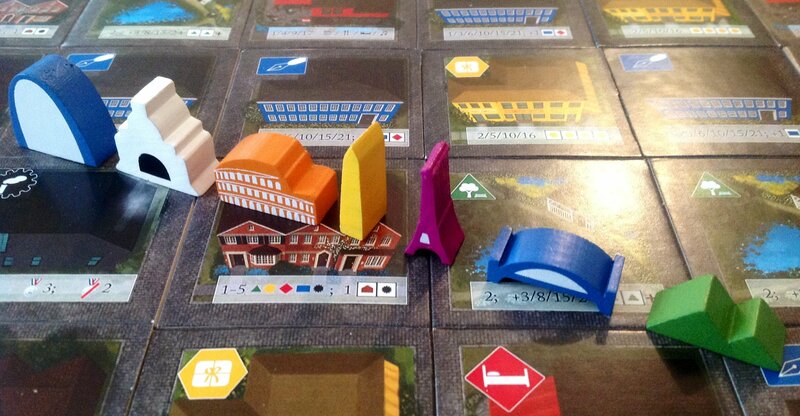 Factory (gray): The cities with the most factories score more points per factory than other cities.